Tomorrow sees the start of the 2010 Taipei International Invention Show. The 6th Taipei International Invention Show & Technomart (Taipei INST) is the next to the Seoul Invention Show the second largest platform for international Intellectual property trade and technology transfer in Asia. The purpose of INST is to stimulate the internationalization and commercialization of Intellectual property and innovative technology. To attract greater opportunities regarding to venture capital among international Intellectual property trade and technology transfer. To demonstrate the innovations among Taiwanese industry, government and academic institutes; to increase the understanding of general public regarding to IP and the innovations. The ultimate goal is to invite everyone to know Taiwan, come to Taiwan, and invest in Taiwan. Creativity is coming up with ideas, but innovation is bringing those ideas to life. Moreover, an invention is the creation of a new concept, but innovation is turning that concept into a commercial success. As Edison’s famous quote states, “genius is 1% inspiration and 99% perspiration” and this couldn’t be any more true, especially when converting knowledge into money. The following article gives you some ideas on how to proceed turning your idea into money. You have an idea—what now? When one has an idea the first step should always be to put it down on paper. In the current age, this page is likely a document on your computer. Over the next few days, your idea will change and expand as your thoughts become stronger and deeper. One can write down points which can be viewed as risks or questions that one has. When the idea is one that can be drawn, one should also produce an outline or sketch. Once your idea is on paper, develop a one-page description of your idea. The end result will create a document that can be shown to a good friend, a patent attorney, or to the patent office. The invention should be described on the patent application form in such a way that a specialist can understand it. A prototype is not necessary to apply for a patent. The typical lifespan of a patent lasts for 20 years. Fees are also higher if the patent is to be protected in a number of countries. Perhaps the most important fact to keep in mind when trying to sell your idea is that the right people learn about your idea. In this case, quality is more important than quality. Define who would be interested in your idea and search them out. You can find future producers or distributors in online company directories. Most companies are waiting for your request. Another useful way to find contact persons of large companies is to use online networks such as LinkedIn. Don’t be shy! Everyone in such a network is basically an open ear. Nothing happens by itself! Get people interested in your idea and send them to your site. There they can see what is on offer. At every job interview or romantic date, presentation is everything. How does one convey the message that your idea is a good one? This, like in life, is often decided upon the first impression. Express yourself as simple as possible and as technical as necessary, to be equally interesting and understandable to technical and non-technical people alike. The description should be drafted so as to get an overview about what the invention is. Keep the introductory text of your project page technically simple. Firstly explain what problem your invention solves. More often you do not have to convince just technicians but also marketers! A good photo and the first sentences of the idea description are crucial. One cannot assume that a prospective client will read three pages of text to understand the geniality of the idea. If the client is not interested by the second or third sentence, chances are s/he will move on to the next idea. To keep your expectations as realistic as possible, here is a rough scale to guide you on what type and how many reactions you can expect. Depending on the quality of your covering letter as well as the target customers you choose, you can expect to receive 3 to 10 responses per 100 attempts. Most of time, you will not get refusals, but rather specific inquiries about prices, technologies, drawings, etc. Answer these questions quickly and thoroughly. A personal interview is particularly valuable. Of course, an inquiry is still no contract, however each inquiry could be just the one that helps bring your idea to the market. The inventor’s Trade Fair iENA Nuremberg is the international hub of invention for four days. 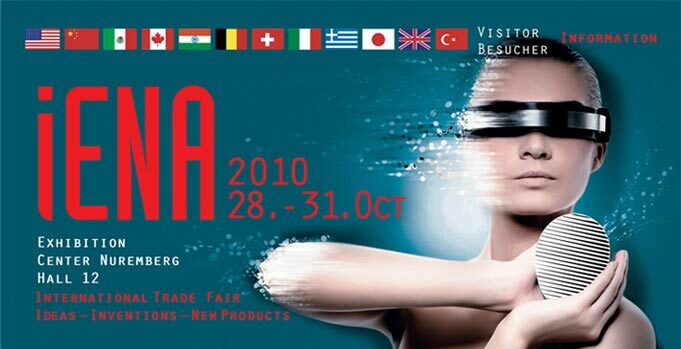 As the only trade fair of its kind in Germany, the iENA, International Trade Fair for “Ideas-Inventions-New Products”, invites you to the Nuremberg Trade Fair Center from October 28-31, 2010. Global economic problems are increasing interest in innovative product ideas and real problem solutions. With this background, the iENA was able to set a new record last year with almost 800 inventions from 33 countries and specialized visitors from 44 nations. The iENA 2010 will once again impressively demonstrate that the creativity of inventors is nearly inexhaustible. Due to the strong exhibitor demand, the organizer, AFAG Messen und Ausstellungen, considers it likely that the record turnout from the previous year will be repeated. The high level of exhibitor satisfaction at the last trade fair in 2009 should also contribute to this. In a questionnaire, 75% assessed the contact opportunities at the iENA as very good and good, 17% were satisfied and only 4% were dissatisfied. Around a third of all exhibitors were able to make deals during the trade fair. On the first two days of the iENA, only specialized visitors have access. On October 30/31, the general public can also get an overview of the newest inventions. Google presented the 5 best Ideas and puts money on the table to help them become more than just ideas. Best selling author of „Make Millions Selling on QVC: Insider Secrets to Launching Your Product on Television and Transforming Your Business (and Life) Forever“ talks about how to get your new product or invention on home shopping channels. Whether you are a novice inventor or proven product developer, Nick Romer’s story is proof that anyone with a great product and the desire to get it into the hands of millions of people can make it happen. What we do here at Inpama.com is giving you the tools and the knowledge to promote and sell your inventions successfully. Therefore I browse the web and whenever I find something that might help you, I’ll post it here. Today it’s a video from the UIA which I found on Youtube. As most inventors know, bringing a patented product to market is a challenging task. In the majority of cases businesses are simply not interested in your ideas or see little potential for commercial success. This however is not a rule, as some patents do indeed catch the interest of manufacturers and entrepreneurs. Let us assume that you are one such inventor who has an idea that has caught the attention of an interested party and are about to enter into talks regarding the sale or utilization of your idea. For the independent inventor this can indeed be a stressful situation as business negotiation is an unknown territory for many. Thankfully there is help out there to provide inventors with the tools necessary for negotiation. 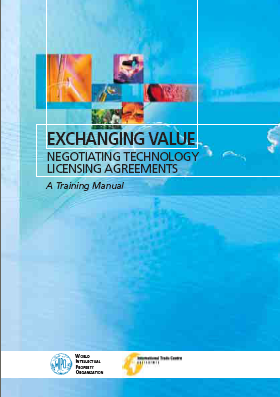 One such tool is the World Intellectual Property Organization’s training manual „Exchanging Value: Negotiating Technology Licensing Agreements“. The importance of negotiations and the need to seek a „win-win“ agreement. The manual is also available in Spanish and French. We would like to inform you of a new website for inventors, www.inpama.com, where inventors can promote their invention absolutely free of charge with no hidden commissions or fees. On inpama.com, prospective license-ready technologies can be found which can be quickly implemented into a finished product. Inpama.com does not charge any commission fees from inventors or invention seekers. It is completely free to use. With inpama.com, inventors can help create exposure for their inventions, due to search engine optimization. For instance, if you google „camera flash invention“, the inpama page for that invention comes up on the first page of the search results. As we all know, it can be a challenging task to promote an invention, however inpama.com is one more tool that can help inventors achieve their goals.